A few years ago I questioned the distance of an object whose age placed it during or before what is referred to in modern cosmology as the Epoch of Reionization. This is supposedly a period shortly after The Big Bang when stars and galaxies first started to form and began reionizing the neutral hydrogen in the Universe that was formed even earlier after The Big Bang. I predicted that eventually objects would be found with redshifts so high that scientists would no longer be able to explain their existence in their accepted model of the universe and its supposed formation. Since then not only have more distant objects been discovered but the time period of the Epoch of Reionization has been drastically changed. It was recently announced that analysis of data taken by the European Space Agency’s (ESA) Planck spacecraft of the so-called cosmic microwave background (CMB) has revealed that the Epoch of Reionization occurred about 700 million years after The Big Bang. 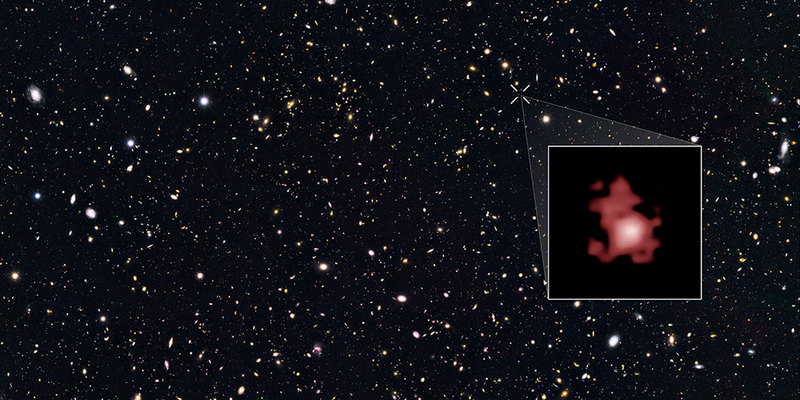 This is much later than the previous estimate for the epoch, which was 450 million years after The Big Bang. Supposedly before this time period, which is simply referred to as the “Dark Ages”, the universe was a dark expanse of neutral hydrogen with no stars or galaxies to heat the gas and illuminate it. Now how will scientists explain the even larger discrepancies of these recent observations and revised figures? The time has surely come for them to change the way they view the universe and its formation. Or will these discrepancies be ignored or simply forgotten as astrophysicists, cosmologists and mainstream media continue to lead us blindly down a path dominated by gravity and empty theories? One comment on "Reionization Revision"
If the Universe is infinitely large and ever rapidly expanding, what is it expanding into?